Last Sunday, I was in a bit of a dilemma. Seeing as Ramadhan was beginning the next day and the thoughts of 20 hour fasts were running through my mind, I was having problems deciding on what deserved to be my last meal. It needed to be something fattening, something sweet, and definitely something absolutely delicious, but what would possibly satisfy all three of these cravings. Well lo and behold, this facebook group gave me exactly what I wanted – Stax Diner. For those of you who follow me on instagram, I recently posted a rather delicious looking photo of a big, juicy burger right bang in the middle of the fast. Sorry to have tortured you all BUT the good news is, I am happy to say that there is in fact a brand new burger joint in London that is worth visiting. 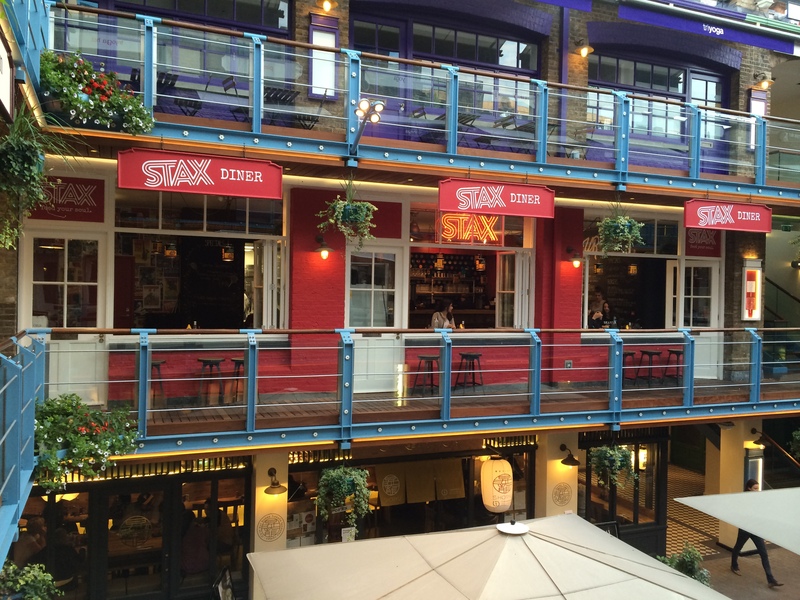 However, no more inconvenience of travelling over an hour just to eat one burger, Stax Diner is situated just off Oxford Street – the most perfect location. I originally wanted the fried green tomatoes but they just happened to have run out as soon as we got there *sob* but its okay, I went for the next best alternative and ordered the fried pickles. Huge pickles served piping hot with a crispy and bubbly layer of batter and a pot of cool ranch sauce. The only fault with the pickles was that they could have been sliced thinner rather than being chunky. A manageable sized beef patty cooked to an amazing pink medium and topped with the generic trimmings of lettuce, tomatoes, onions and melty American cheese (I chose this cheese for comparison purposes). The taste of the beef was simple, perhaps not flavoured enough, but the fillings made up for this and if you’re looking for a burger dripping in juices, Stax is the place. Honestly speaking, the brioche bun was incredible; a very slight crunch from being toasted but otherwise a pillow of buttery heaven. Hands down, this was the best burger bun I have ever had. BW did one better and ordered this beef bacon burger with stilton cheese. Usually, in these halal burger joints, we are accustomed to turkey bacon being used however Stax did things a little differently and opted for beef bacon; not just any ordinary type of beef bacon though, this was maple glazed meaning it was sweet and salty all at the same time. The great flavour of the bacon was so strong that it almost stole the show away from the beef burger itself. BW also really enjoyed the brioche bun and found it held the burger well at first but then started to fall apart before he could finish it. Sorry but how could I not? This was made purely from ice cream and peanut butter, with just the right consistency and ohmygoodness, little blobs of creamy peanut butter floating around meaning sips of pure and utter peanut buttery heaven! The total bill came to £26.45 for two without service; a little steep but the norm for any burger joint, especially located in Central. 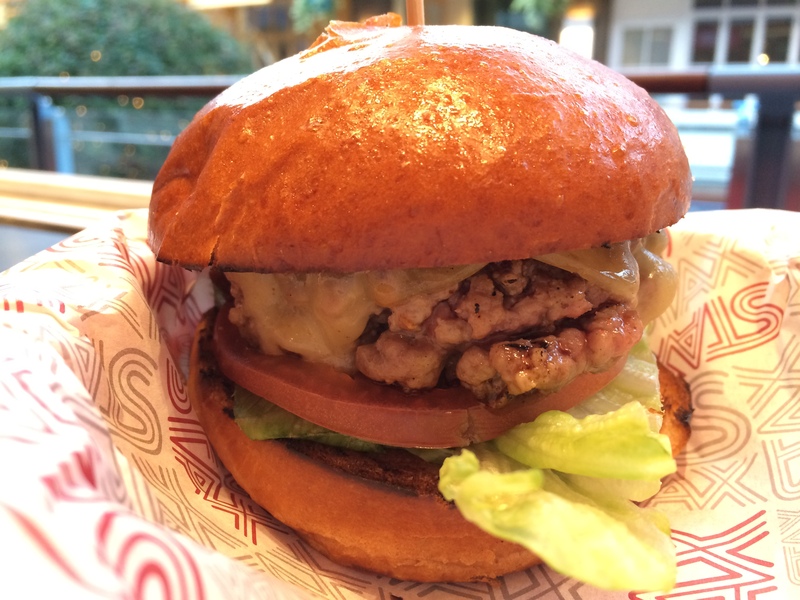 These were proper burgers; not processed and not overly fancy either – just simple burgers. The best part was that they had such a range of choice for the cheese, you could easily mix and match your toppings according to the type of flavour you were looking for e.g. creamy blue cheese with sweet maple bacon – delicious! For those of you who aren’t a fan of burgers, there are plenty of other options on the menu which has taken a Southern approach and offers classics such as fried chicken and waffles, po boy, fried green tomatoes etc. The location is super convenient especially after a long, hard day at work, a shopping trip down Oxford street, or even just hanging out with a bunch of friends in the park. 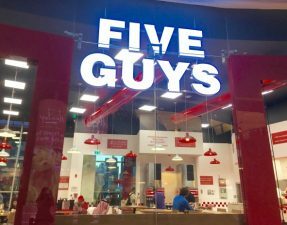 No more tiring, hour long trips all over Greater London just to scoff down a burger (well, I would make the journey to Red Iron any day), instead you can just hop on a train from anywhere and have a burger in your hand within 45 minutes. Nearest Parking: Few pay and display parking spaces on nearby side streets otherwise NCP car parks available. I LOVE Stax! Next time you must try their chicken and waffles. And their dough bro is pretty amazing too! Just because a restaurant claims to sell Halal meat doesn’t make it Halal. They sell alcohol, which makes the restaurant Haraam. Well said! Even a single penny taken from the sale of alcohol is Haraam. In fact even eating an animal who has eaten the grass of a vineyard intended for wine is Haraam. That’s how Haraam it is. But through accounting tools they can seperate the alchohol takings earnings and maintain the menu to be halal. After all we are not in the muslim country anyway, why we have to narrow our mind. They already embrace the halal food market, which is convinient to muslims. But they dont do that though do they? ie stax dont separate alcohol taking from their food..
Actually, all the money that has been made from any alcohol sales is donated to charity! Just because they donate the money from alcohol sales to charity, doesn’t make the establishment halal. So all the grocery stores in Britain are haraam? obviously there are somethings we cant do anything about like mortgages, insurance.. but we have a choice of eating and other halal restaurants dont sell alcohol (ie TinselTown, big moes diner etc) so one can go there. I love it when people shrug fatwa’s from their sleeves without knowledge. As a muslim you are not responsible for other sales made by the restaurant. As long as they serve you halal meat and you don’t buy any alcohol from them there’s no blame on you. Finally, a good burger joint that’s central! Tinsel town, You got to be kidding. Hey, glad you enjoyed stax after seeing my post on the fb group. Follow me on instagram for other halal food places/burger joints. I have to say, when I saw where it was located I was excited. But the food left me disappointed. The milkshake was not thick enough (something I could have made at home), the chips crunchy but hollow and the burger itself incredibly salty (which when you’re fasting isn’t a great idea.). On top of that, i thought it was slightly overpriced, considering it is a prime little spot behind Carnaby Street I can understand but if the food was on par with the price I would have been less inclined to complain. I just happened to come across your blog whilst having some major burger cravings mid fast, and i have to say your blog is a GEM! It’s so difficult seeing amazing food from resteraunts and remembering ‘oh yeah, not halal’. But honestly your blog has made my day!! Can’t wait to visit this particular place inshallah :). Thank you!! I must say I read your review and was really excited to go to this place. I took my significant other and we journeyed there to break our fast. Then it went downhill , asked if they could serve us we were given a menu and told to que. waited outside for over a hour then got told they would not serve us. They could have informed us before we qued up. When we mentioned we had been fasting we were informed in not so many words that that it’s not their problem. There were other Muslims queuing up also and some were treated quite badly. After quite a heated discussion with the manager everyone was served but the food was not up to scratch. I really cannot say how disappointed we were. Let’s hope this was a one off. But the attitude of their staff and the bad quality of the food we received (maybe because they had to serve about 7 more fasting Muslims) was very unprofessional. Maybe when they are not under so much pressure things might be very good say non peak hours. This is just what I experienced and thought I’d share, hopefully other have had a more positive experience. I agree. I went last weekend and it was a shambles. I am not going back. The food was fine, wasn’t a fan of the onion rings. The food took over half an hour to arrive! I was so frustrated, told them I would walk out if they didn’t present the food. They couldn’t serve us fast enough. Never going back again. Sorry but your reviews have gone downhill – this place does not have as good food as you have described. Also, Red Iron is a joke, surely you are connected to them because everyone knows they are laughable. You base your reviews on pretentious things like location, interior and atmosphere rather than the quality of food – you have no idea. No need to be sorry, everyone is entitled to their own opinion. As you seem to be an avid reader of my blog, I’m surprised you appear to have missed the part where I clearly state that everyone has a different taste so what I may like may not always be what you like. I happen to like Red Iron and so do a lot of people who have been there and have taken the time to write & tell me so. I am not connected to any of the restaurants I review, I’m doing this all purely out of good will for those who wish to read my blog. If you have nothing constructive to contribute, I would request that you don’t comment at all! Thanks for all the recommendations and two thumbs up for your blog. Loo jee another rant. This is harsh and uncalled for. The writer of this food blog has no obligation what so ever to match everyone’s likes and dislikes. Sharing observation is good thing but simply telling her that she is not good enough is ridiculous. Constructive criticism is good but this is not fair. Oh my days, just you dissing red iron burgers tells me you have no taste. I will not stand for it, I still dream about that burger (if only I didnt live so far away from there :sigh:. I was so disgusted by your comment I just had to reply. Everyone has different tastes..apart from you that is. This comment is ridiculous, its the writer’s opinion, she’s not forcing you to go and eat there. I find this really offensive, you should keep your snide remarks to yourself in the future as you’re ruining it for everyone else who enjoys these blog posts and finds them helpful. Salam, I went there last evening and I must say they have done a really good job. The burger (Big Stax) was not so big or small and you feel the right amount of full after having it. The Bacon (which I wasn’t looking forward to due to being maple glazed) was good but the beef was done in a really good way. The taste was perfect, no smell either (like meat & shake) and the comeback sauce was a nice touch. Tried their fried pickles and although not a fan of them, really liked them and fries were good too. Overall it was a great experience, will be going back there on the weekend to try something else. Nice place, friendly staff. Thanks for recommending this. Didn’t like this place one bit. Small, crowded and cramped, we were made to sit at the window facing a bunch of strangers even though there were a couple of tables free. The place is so small, people kept brushing past us as they walked by. Based on your pictures, it looks like you were at the window too! The food was okay… a bit greasy and messy which I don’t usually mind, but it was hard to enjoy in such a cramped setting! Went for The Big Stax with Boardwalk Fries. Burger was cooked just how I liked it; juicy. A bit more seasoning would’ve made it taste better. Fries were difficult to finish! I’ve been there so many times since it opened as I was always envious of my non-Muslim friends who could eat decent burgers. I’ve had pretty much everything on the Stax menu over the weeks and I can’t wait to go back. The burgers are amazing and the shakes are great. They’ve not been open long so maybe some of the bad reviews were down to teething problems, in any case, they’ve definitely improved over time. I called Stax and asked if their meat, including the chicken is halal and where they get it from? They said EVERYTHING is halal, and they get their meat from Organic Halal Meat Abraham. My friend contacted Organic Halal Meat Abraham and they said they only provide BEEF to Stax, and do not provide any other meat and never provided any chicken. Why did Stax make the claim? Something is strange. People should try to investigate before buying from halal restaurants which serve alcohol (like Stax). And people who make blogs/websites encouraging “halal restaurants” should verify whether the restaurant is halal, otherwise the sin of all the people who eat because of the blogs/websites can be on the author. 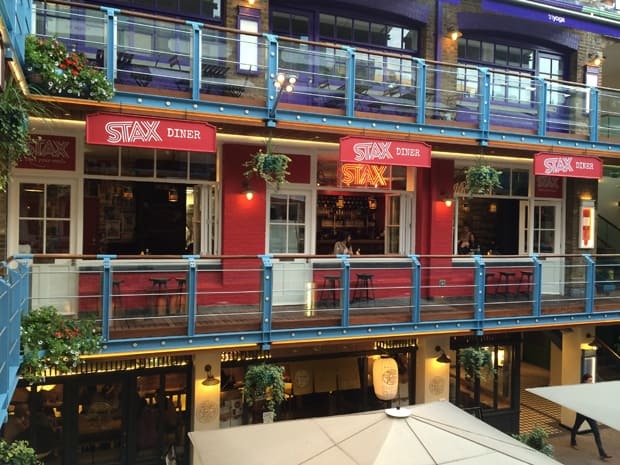 “Everything sold at Stax is Halal and there is no pork on the menu – they do however sell alchohol – but being in the middle of London I’m not really surprised. Fatema, please appreciate what this sister is doing: reviewing places that we can enjoy! You seem like he sort of person who should stay at home because you cannot trust that something is halal. The ONLY way you can know for sure if something is Halal is to slaughter it yourself. Halal certificates mean nothing without a bit of trust. Check the halal status themselves therefore absolving her of responsibility. Places are even Halal in the first place. Remember if a Muslim lies about the halal nature of their food there is no sin on the one who consumes it! I never actually mean to read your blog. I just google “halal burger” and then a location and inevitably get led to your blog. Meanwhile in Palestine, Syria, Iraq, Burma and many places people are being killed, raped and starving and all we care about is WoW this place is so good i must stuff my face now, i am full who gives a F*** about other people there is GOD to help them. As long as we are not in harms way all is good. Just make Dua for them -FULL STOP- oh and send some money that is it. Ummm…. you know this is a FOOD BLOG, right…? It’a a blog, about food. Of course we are all concerned about Palestine and the Muslims around the world, but we are allowed to enjoy our food, we can’t all starve ourselves and slash our wrists, because it will do nothing for them. We can pray for them though. I went to this place after reading your review and seeing that juicy burger. You must have reviewed this a long time ago as the place is a joke. The service is awful and the whole place is a mess. Average burger, meat was cooked medium which is very good and how it should be done, but the rest of the burger was a load of tosh. Briouche bun, crispy beef pieces, sauce, it was poor. Please order the fries if you want to know how crap the place is. 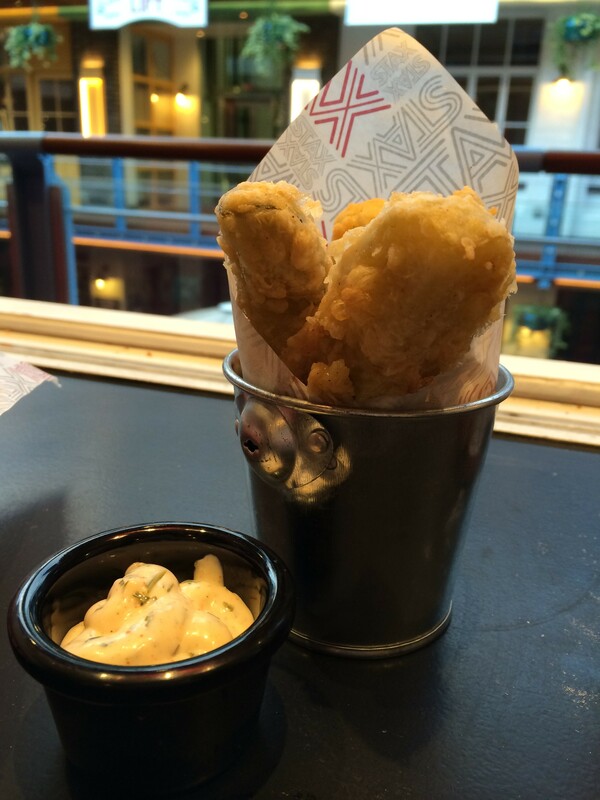 Triple fried fries, its like eating a bag of crisps. I did visit this place quite a few months ago so who knows, they may have changed the way they make their food, or they could be having an off day! I tried this place yesterday after reading this review. I was disappointed – one wonders whether the blog author is in collusion with these places in order to spruce up business. Luckily the queue was small and we got in straight away. However – the wait for the food was abysmal and the place was rather small and cramped. 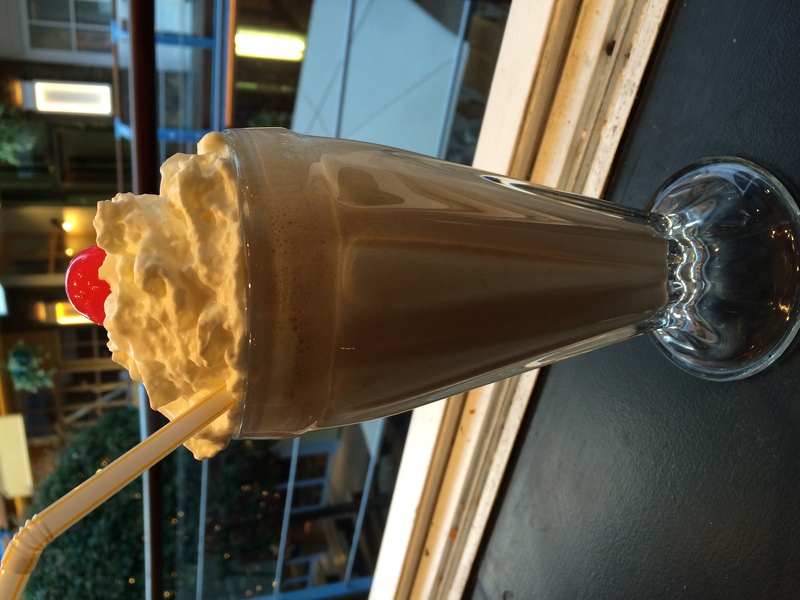 The beef bacon burger was greasy, the beef bacon was tough and the coke float was laughable. The fries were like biscuits and the pickled gherkin was just average! 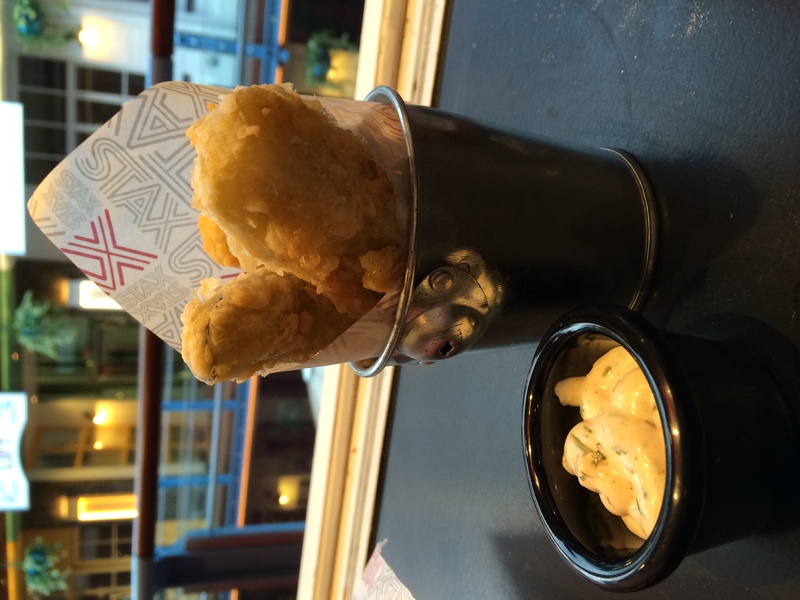 For the price we paid for the meal – the outcome was disappointing and the service was average. One questions the nous of the blog author after a blog post like this! Everyone has different tastes when it comes to food – what you may like, I may dislike and vice versa. Or it could be the case that the restaurant was having an off day! Either way, for you to suggest that the restaurant is working with me, even when I fully disclose when I have been given a free meal, is incorrect. When I visited, I didn’t think their food was all that bad – yes, the pickles need working on, but I enjoyed the burger and the beef bacon. However I did visit a while ago, so maybe things have changed since then – sorry that you had a disappointing experience! Thank you so much for your reviews! I’ve been craving Stax before trying it when I was 9 months pregnant. I only managed to go yesterday with my 4 month old and boy was it worth it :). I ordered the cheeseburger and it was everything I want a burger to be. So looking forward to going again. Hands down the BEST burger I’ve tasted in London! The restaurant itself is small and can do with some sprucing up, but the burger more than makes up for it! I myself really enjoyed Stax diner, clearly half the people on here have never had anything but processed food, clearly you guys don’t appreciate organic foods, all i can see is bitter people that are upset and envious about something, please guys go do some soul searching because there is no need for that type of reaction to someones opinion of a new joint. After everything everyone told me, I decided to check this out…Finally. Disappointed. Compared to other burger joints this was not on par. The burger was small, the flavourings on top seemed to overbear the actual beef. In general, I understand the price is dear due to the location, but I hate to say it, even Tinseltown’s burger tasted better…AND I try and stay away from there. But good location if you need a halal spot while shopping/working around the area. Sister, you occasionaly get quite critical comments from others including the inevitable ‘religious police’ but I wanted to say “keep it up”! My wife, daughter and I have found many places just because of your blog. Have to agree with sister Fatema posted 12/09/14, with regards to verifying if the food being served is actually halal. Please remember brothers and sisters that the Arabic word halal is not subject to copyright and is not owned by anyone therefore the terminology can be used in many guises, it is therefore particularly concerning when used for commercial purposes like restaurants and fast food. 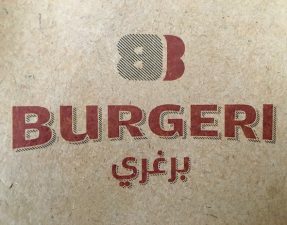 To gain business and increase sales from the Muslim sector many food outlets are now using the halal tactics even displaying the Arabic lettering. For many years there has been a shadow of doubt as the halal meat industry has been found to be in certain areas to be corrupt and non halal slaughtered meat has found its way into the halal meat chain. many non Muslims have tried to capitalise on this enormous market. To combat this, volunteer Muslim organisations have tried to clean up this industry by introducing checks at the abattoirs so as to make sure what we eat is actually halal, one such organisation is HMC Halal Monitoring Committee http://www.halalhmc.org their inspectors check 100% of all slaughtering at the abattoirs and can verify that the meat and poultry they monitor is guaranteed to be halal slaughtered meat and they also verify that the animals were not stunned prior to slaughtering. They have a nationwide organisation which consists of many volunteers and scholars. We owe a great thanks to these organisations and should look to using their Halal verification as a guide to eating halal. Their logo and certificates are very distinctive and are being widely used in Britain by many shops, butchers, fast food and restaurants. My New Home from Home! Love the food..keep up the good work sister! :¬)..Banana tree is my next checkout! Try not to go here. The burgers are not great and they are over priced. Also the service can be terrible. 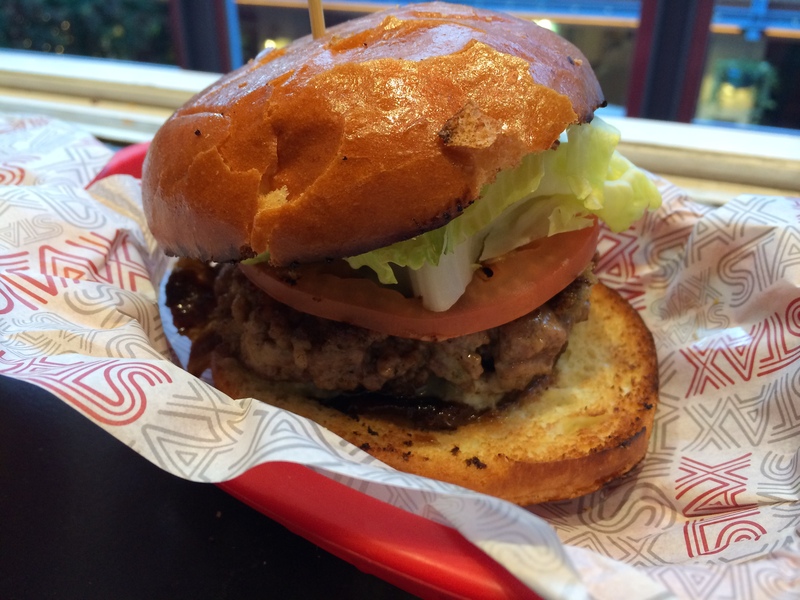 The new place Boondocks is worse and burger quality seems to have taken a sharp descent. Regarding whether it’s halal – I’m not wholly confident as they don’t have any visible certification also they serve alcohol and appear to mix the alcoholic drinks in the same area as the non-alcoholic. Ah, I haven’t visited Boondocks yet, but have only read good reviews! Regarding the halal status, no restaurant needs to have visible halal certification on the wall to qualify as a halal restaurant, but would happily show you the certificates if asked to see them. When it comes to alcohol being served in a restaurant, I find it is down to each individual to what they qualify as halal or not; some people don’t mind, whilst others clearly do. Just a side note, from any alcohol sales made at Stax diner is separated from the food intake and is donated to charity. 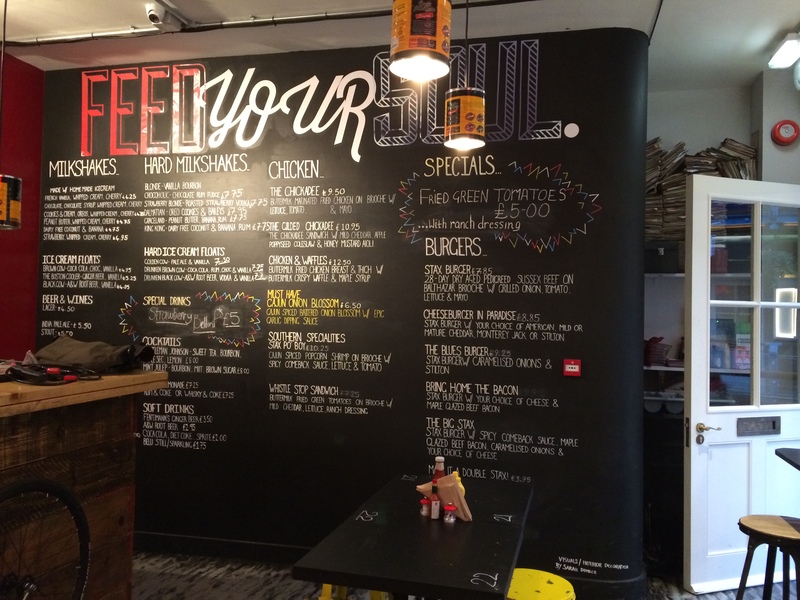 I went to this place & its very funky and the burgers are nice (especially the bun). The bathroom is a place of art 😀 . However its too expensive and poor value for money. And whats the 12.5% service charge for a place that looks like a tiny shack? The virgin mojito which costs £5 is 40% drink and the rest is all large lime pieces and ice? Didn’t think the joint was anything amazing interns of their food. Pretty standard and the burgers felt a little short. Personal preference I guess. 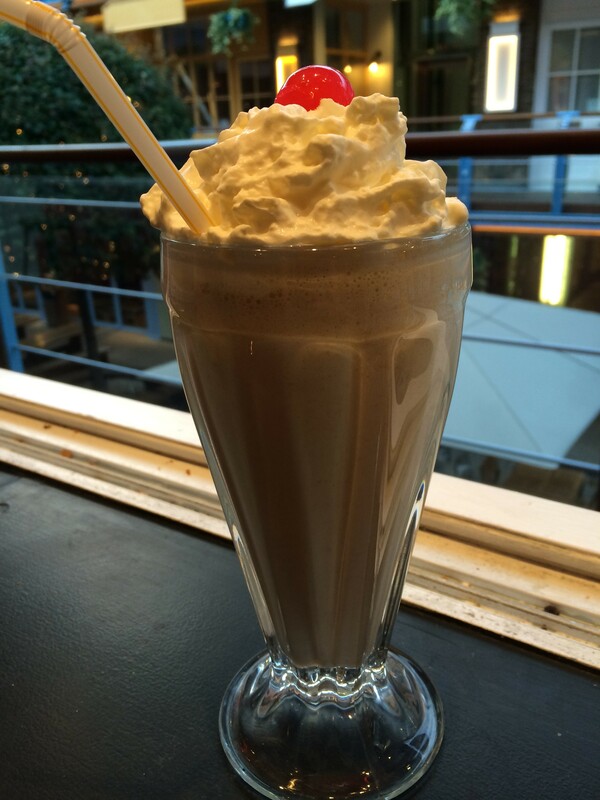 The milkshake I did enjoy. Maybe I’ll give it another go before completely writing it off.